Vitamin C For UTI: Does It Work? Vitamin C is a familiar dietary supplement, which is often available inexpensively and sold in reliable doses. But should you take vitamin C for UTI? Vitamin C made it into our list of the ten most searched UTI home remedies because it is recommended enthusiastically online. But it’s important to remember that this enthusiasm and its popularity doesn’t necessarily mean it’s effective. It’s possible vitamin C may only be effective in some cases, by controlling symptoms and limiting infection, whilst not eliminating the pathogen causing recurrent urinary tract infections. 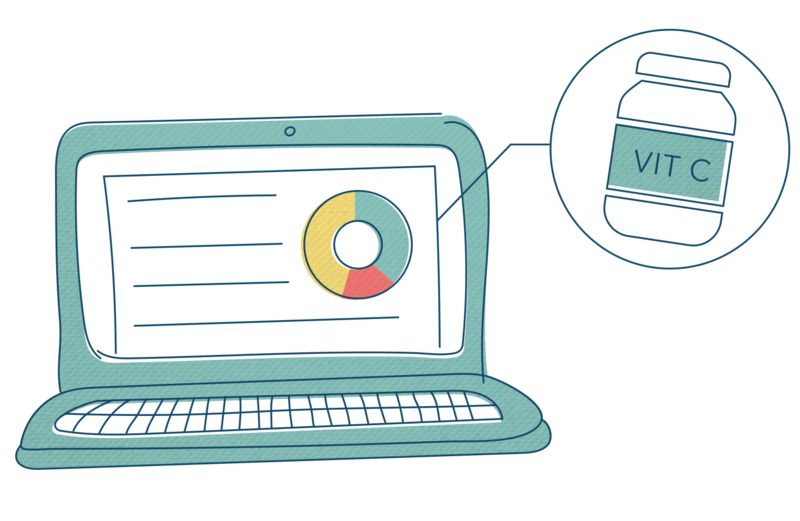 Often, the same people who recommend vitamin C online appear to still have symptoms that return time after time. That’s something to think about. What Do We Know About Vitamin C For UTI? For a start, we don’t know enough. That’s because there is a clear lack of studies into whether vitamin C for UTI is beneficial. Those studies that do exist mostly test vitamin C against a microorganism in vitro, that is, on the lab bench, and not in females with symptoms. The largest study in humans we have found involved 110 pregnant women. Needless to say, many more rigorous studies are required with both pregnant and non-pregnant females, to provide a clearer picture of vitamin C’s place as a potential UTI home remedy. Before we take a closer look at the research, let’s talk about vitamin C’s role in the body in general. Vitamin C is an important part of a healthy diet as it plays a vital role in many areas of human physiology. It is essential for tissue health and wound healing, as it’s necessary to make collagen, an important support protein. Vitamin C is considered safe, even in the large doses often found in dietary supplements. This is because of its water solubility, which means it is readily eliminated from the body in the urine. Because vitamin C makes it all the way to the urine, it’s believed to have the ability to act directly on the pathogens that cause UTI. This is a key part of the theory. Many of the bacterial species that cause UTIs are known to convert nitrate into another chemical called nitrite. You might recognise this if you’ve used urine dipstick tests (which aren’t very accurate, by the way). Nitrate can be ingested in the foods we eat, but it is also produced within our own bodies, so it’s not something to worry about or try to avoid. 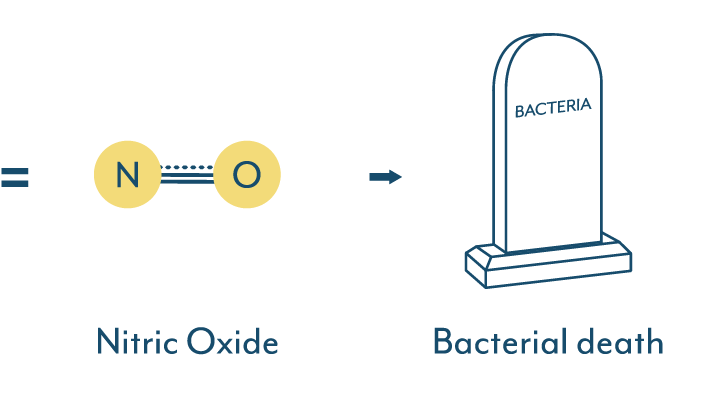 In an acidic environment, these “nitrate-reducing” bacteria take the nitrate found in our bodies and use it to produce nitric oxide, a very reactive chemical. The creation of this reactive nitric oxide also brings about their own death. This is where vitamin C for UTI comes in. Vitamin C, also called “ascorbic acid,” is believed to create an acidic environment, triggering the production of nitric oxide, and thereby causing the bacteria present to end their own existence. Although this is pretty cool to think about – bacteria being responsible for their own death – UTIs are also caused by a variety of other microorganisms that are not nitrate reducing. Many of these may show a different response to vitamin C, so without knowing which organism is causing your UTI, you can’t be sure whether vitamin C will help or hinder. You’ll generally find that doctors can’t promote vitamin C as a UTI remedy because of the limited evidence of the studies. Whilst vitamin C is a natural chemical, it is still a chemical, like everything else, and its use may have unknown side effects. Because we don’t know exactly how taking vitamin C for UTI works, we also don’t know if it is truly helping, or even how safe it is in the long term. It is possible that vitamin C only attacks particular species of bacteria, and therefore may only help in some cases. In reality, we know very little about its effect on the many other microorganisms found in the urinary tract. This is why it’s so important to find out what’s causing your UTI. Because of these uncertainties, we don’t know what the best dose of vitamin C is, nor how often it should be taken, let alone whether it works. And when it comes to a chronic bladder infection, treatment with vitamin C may not be wise. Any potential benefit from the temporary relief of symptoms could be offset by other issues that arise. Whether the nitrate-reducing ability itself is necessary to bring about bacterial death. This was an in vitro study (not involving infection in human subjects). Whether the addition of vitamin C to nitrate-reducing bacteria kills them. This was an in vitro study. Whether vitamin C for urinary tract infection helps reduce symptoms and prevents positive results in urine culture tests, in pregnant women. This was done in real humans. Whether vitamin C enhances the ability of a bacterium to damage the protective chemicals found in the bladder wall. This was an in vitro study using live bacteria isolated from humans. Nitrate-reducing bacteria were killed by the addition of vitamin C in vitro. 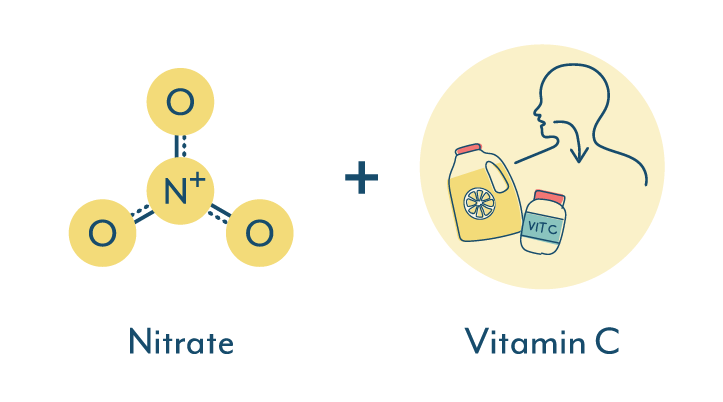 Vitamin C made conditions more acidic, and this caused the production of nitric oxide. Nitric oxide caused the death of these bacteria. Mutant bacteria (their nitrate-reducing genes were absent) were not vulnerable to vitamin C/acid attack. Allowing the bacteria to grow in an acid-free, nitrate-rich environment before vitamin C was added, enhanced the killing. Vitamin C appeared to be effective in reducing symptoms and positive results in urine culture tests, in pregnant women. In one in vitro study, vitamin C appeared to increase the ability of a particular bacterium (Proteus vulgaris) to damage the bladder wall. The nitric oxide generating mechanism is not yet proven to occur in humans who take vitamin C for UTI. Three species of bacteria (Escherichia coli, Pseudomonas aeruginosa, and Staphylococcus saprophyticus) were shown to be sensitive to vitamin C in the lab. At this point in time, there are no studies that indicate whether other microorganisms are also sensitive. It is encouraging that pregnant women responded to vitamin C with reduced symptoms and fewer positive urine tests. Although this was a moderately large study (110 women), this may not apply to non-pregnant females. The effect of vitamin C in enhancing the ability of Proteus vulgaris to damage the bladder wall has only been demonstrated in vitro. It is possible that vitamin C’s overall effect, within the human body, would still be beneficial, because it tends to acidify the urine and Proteus vulgaris prefers a less acid pH. There is some evidence to suggest vitamin C may be an effective remedy for urinary tract infections involving nitrate-reducing bacteria. Urine with a high pH (alkaline), or any other reason to suspect a Proteus vulgaris infection, may make you consider avoiding vitamin C therapy. The research on vitamin C for UTI is still at its early stages. Larger, more rigorous, and better controlled studies are needed on pregnant and on non-pregnant females. These should assess if, how and when vitamin C for UTI is the right choice of therapy. How Much Vitamin C Should You Take For UTI? But say you are going to give it a shot – maybe you’ve had testing that has identified nitrate-reducing bacteria, or maybe you’ve been advised to try it. What do the studies tell us and what is a safe dosage of vitamin C? First, let’s take a look at how vitamin C the average person needs to stay healthy, then put it in the context of treatment. And no, scurvy is not limited to pirates and sailors, but it was way back in 1747 that James Lind deduced through a trial on sailors (who were very likely to suffer from it), that oranges and lemons treated this mysterious illness. It wasn’t until 1933 that the chemical structure for vitamin C was identified, and since then science has come a long way in discovering the benefits of it. Although scurvy is rarely seen today, it’s best to ensure you’re getting the amounts above at a minimum. And it’s important to note that any recommended daily amount includes both food and supplement sources. The British National Formulary (the “prescriber’s bible”) currently recommends at least 250 mg of vitamin C daily (in divided doses) to treat scurvy. The highest recommended daily dose to prevent scurvy in those at risk is only 75 mg.
Scurvy is a very simple condition to treat and to prevent; surprisingly little vitamin C is required to stave off symptoms. Antarctic explorers stranded over winter in the early 1900s derived sufficient vitamin C from the meat of the occasional seal they captured and ate. Most animal species are able to make their own vitamin C, humans are among the exceptions. You may have noticed that it’s quite common to see vitamin C doses of 1 gram (1,000 mg) in supplements. While this is clearly way over the daily recommended minimum, it is still considered quite safe. When it comes to using vitamin C as a therapy for specific illnesses, dosages used tend to be much higher. So far, research indicates that because vitamin C has low toxicity, it is unlikely to cause serious side effects up to a certain point. The most comprehensive analysis on the safety issues concerned with taking vitamin C supplements was conducted by the National Academy of Sciences (USA) in 2000. There were fears that dosages over an upper tolerable limit may enhance the risk of kidney stones, iron toxicity, vitamin B12 deficiency, copper deficiency, dental enamel erosion, and diarrhoea, amongst others. They couldn’t find a satisfactory link with most of these supposed side-effects, but they did conclude that high doses of vitamin C commonly cause diarrhoea. This side effect was used to set the upper limits in the table above. Taking vitamin C to acidify the urine, for example, involves taking “mega doses” of the vitamin. In the study in pregnant females we’ve linked to above, the prescribed dosage was 100 mg, which is well within the daily limit. However, the prescribed dose for urinary acidification via the use of vitamin C for UTI often ranges from 4 to 12 grams of vitamin C daily. This is as much as 6 times the upper limit recommended, which makes the risk of diarrhoea as a side-effect a distinct possibility. Taking vitamin C as a dietary supplement is, by and large, safe, but there are certain medical conditions for which medical advice should be sought before vitamin C supplements are started. For the higher doses involved in urinary acidification, medical advice becomes more important. Vitamin C shows promise as a therapy for urinary tract infections. Further research is needed to discover more precisely how it may work, how much you should take, and how to navigate the potential hazards identified above. Even if vitamin C for UTI is helpful for specific bacteria, it may make things worse for others. Vitamin C as a supplement is generally safe, but certain medical conditions and mega doses should first be discussed with your doctor. 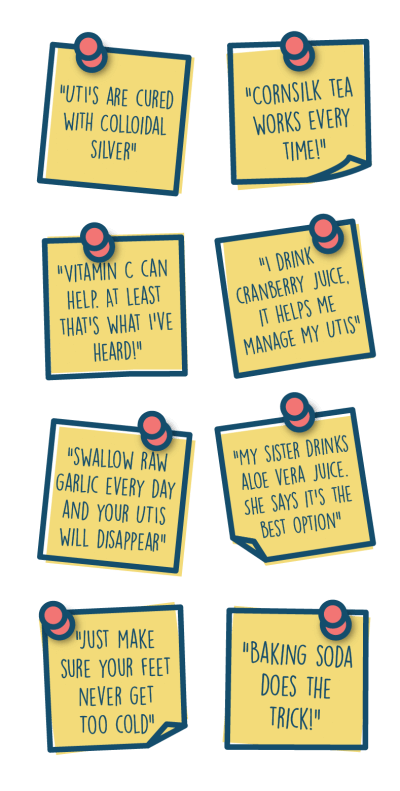 Don’t take our word for it, do your own research, and take a quick read of our UTI home remedies section for more information on how to go about it. We’ve said it before, and we’ll say it again… It’s always a good idea to do a little background reading about a product you’re thinking of taking – before you take it! Research papers can look complicated at first glance, but you’ll often find the abstract at the top of the paper will give you a good overview, and help you decide quickly whether you want to read it. Sure, some of the concepts are complex, but you can find some super interesting and helpful information out there. Many UTI sufferers swear by vitamin C as a treatment for UTIs. You’ll see it recommended in forums, and natural remedies articles. This happens with many UTI home remedies. But you should ask yourself, if vitamin C or other home remedies are so effective, why do their advocates keep getting urinary tract infections? 1) The evidence usually comes from studies done on how vitamin C effects microorganism directly, in the laboratory. Human studies typically involve a small number of sufferers or those who are pregnant. 2) The best dosage, best daily pattern for taking vitamin C has not yet been investigated. 3) We don’t know which microorganisms vitamin C works against in humans, which it has no effect on, and for which type of infections, if any, vitamin C may make things worse. What other remedies have you considered trying for UTIs? To help you navigate your way through it all, we’ve put together a list of the ten most popular UTI remedies, along with the evidence to support or debunk each. Share your questions and comments below, or get in touch with our team. If your bladder is inflammed taking Vit C can make it wore. I have an embedded UTI and tried taking the Vit C powder. I was in agony. So beware. Just my own personal experience. I take 1000 or 1500mcg of vitamin c each day and my UTIs have reduced from five a year to two a year. So I can say it is well worth taking just for that result alone. I only recently heard about biofilm, which explains why UTIs are recurrent, so if one does have biofilm then that is a reason why UTIs keep coming back, not necessarily because vitamin c does not work. The frequency and severity of UTIs have reduced significntly since taking daily vitamin c and after 27 years of seeking solutions with UTIs this is the best result I have had so far. So don’t let anyone put you off trying vitamin c.